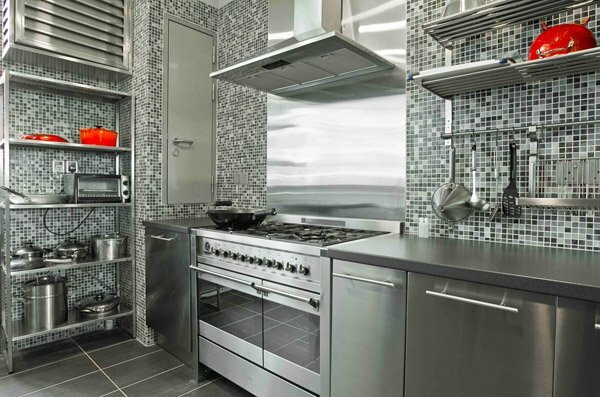 Stainless steel kitchen aren’t for everyone, but if you are looking for a sleek and modern glistening place to do your food preparation and cooking, then a stainless setting could be just the thing for you. 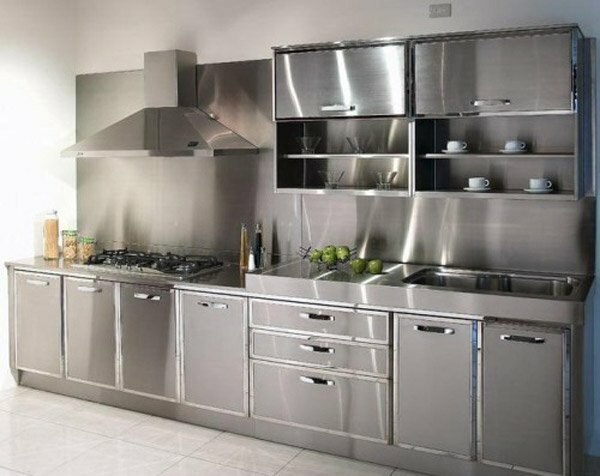 They said that back in the 1930s and 1940s, stainless steel kitchen cabinets were all the rage. These terrific looking cabinets were low in cost, easy to care for, and usually came in white, though could be spray painted in a different color if you preferred. While they did look slightly cold and sterile, the trade-off of super easy maintenance was definitely worth it. All these cabinets needed to look good again was a scrubbing with a damp washcloth or a spray can of paint, which was a real plus for those of us on a budget. 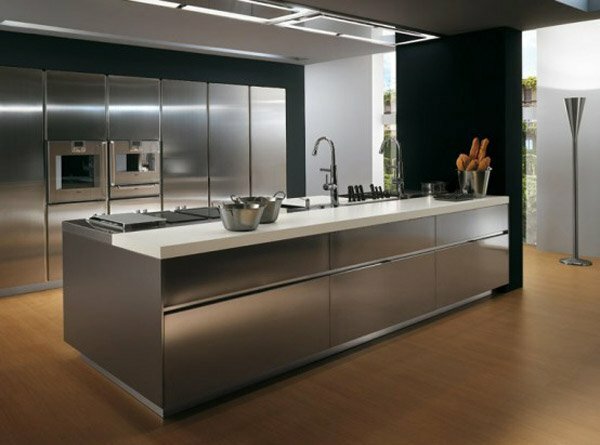 Today, we will be showing you a list of 16 Metal Kitchen Cabinet Ideas. Metal kitchen cabinets are back in style again as a new generation of homeowners are discovering how affordable and low maintenance these cabinets can be. These sleek looking cabinets are no longer limited to commercial kitchen use, but have been finding a niche in contemporary kitchen design. Let us check them out! The clean and beautiful design of the layout is a sure hit! 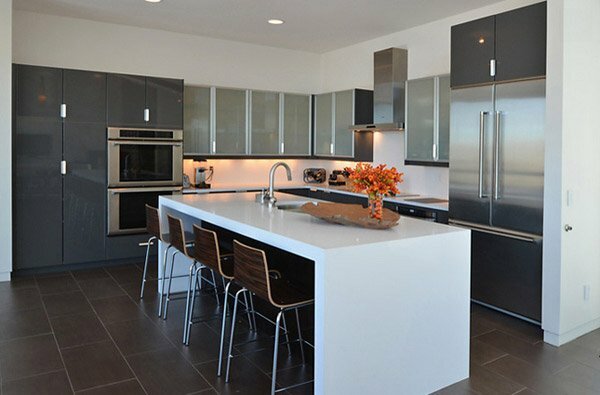 This contemporary kitchen can even pass for modern interiors – totally fascinating! This kitchen is definitely stunning. Just look at the clean and beautiful the lines are for this one. Great job for the designers, really. The floor is wide plank white oak with a whitewash stain which complements well with the metal cabinets and fixtures in this lovely kitchen. 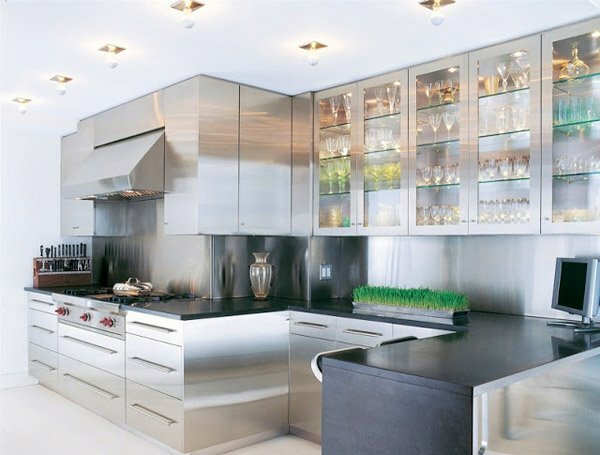 These cabinets above the counters look stunning because of the detail – metal frames and glass panels. The color of the metal complement well with the backsplash too which is a bonus! For this sample, the cabinets are lifted instead of really opening it left or rightwards. 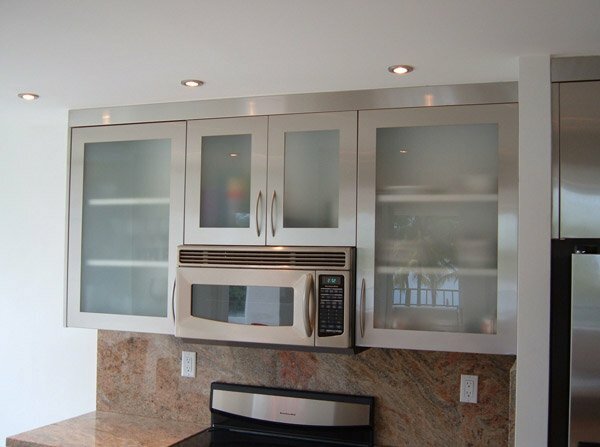 The glass doors also are great so that we can see what is inside every cabinet. Modern Kitchens did a fabulous job in creating this kitchen hub that looks like something you can see in cooking shows, except maybe for the cabinets above the sink. Simple and really functional. It is not really obvious, but we are betting that this kitchen is super huge – notice how plenty the space is for storage and cooking. 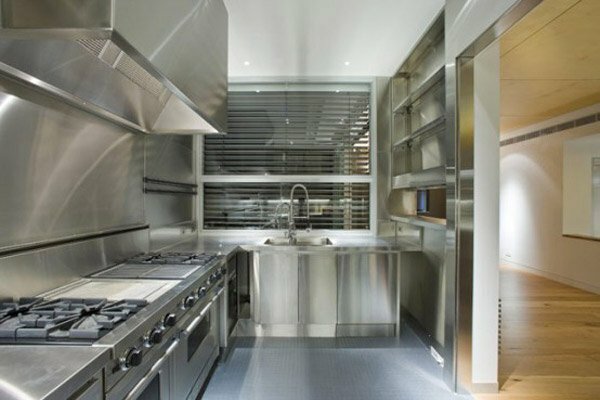 Any person who loves to cook would like to really be in this space. Fun storage and really a clean area for preparation and cooking. This is one stunning space for any cook out there. 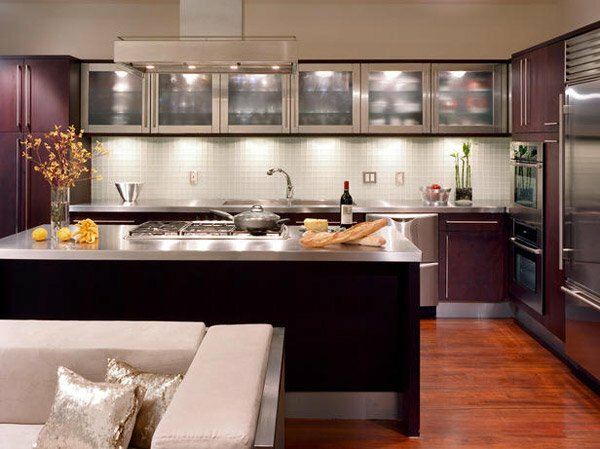 Dark wood base cabinets are combined with metal and glass upper cabinets to create a transition from heavy to light. 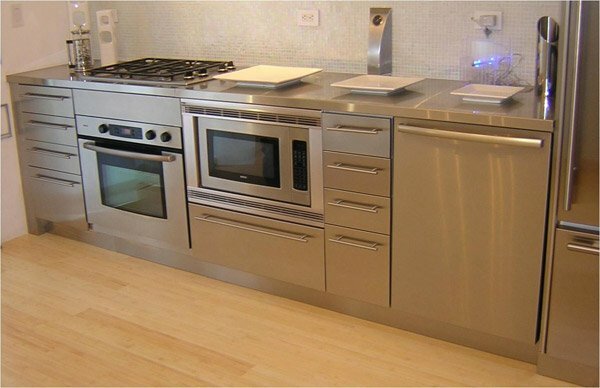 Stainless-steel countertops further enhance this transition, while also tying in the appliances with the cabinets. This kitchen is from the personal home of the designer himself, if you check his website, you can see images of the entire house. This space is definitely one of his favorites. 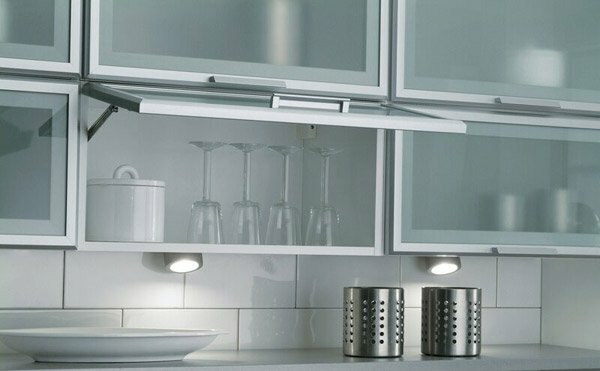 This is a kitchen contraption in a simple and small kitchen space. Very convenient and rather pleasing, plus it is easy to clean. 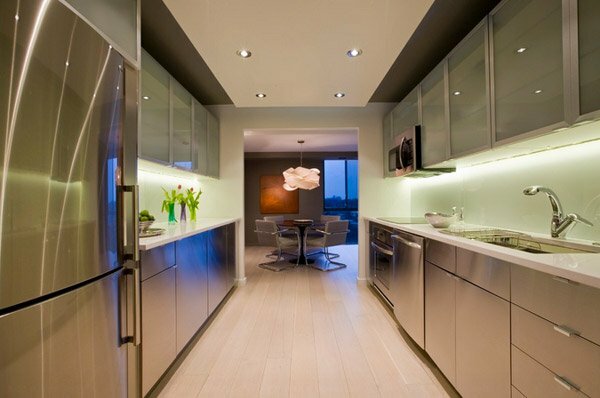 We really love the contemporary feel but modern look to this kitchen space. The huge space for preparation and cooking is totally stunning. Look at how the tiles match in this kitchen! It may contrast a bit, but seriously, it would have been better if the tiles were a bit different or subtle. This is definitely one modern kitchen in a rather rustic setting. Very classy, sophisticated and fashionably charming! Tell us we are lying when we say that this kitchen is super stunning? Open shelving, not to mention, they’re hanging too! 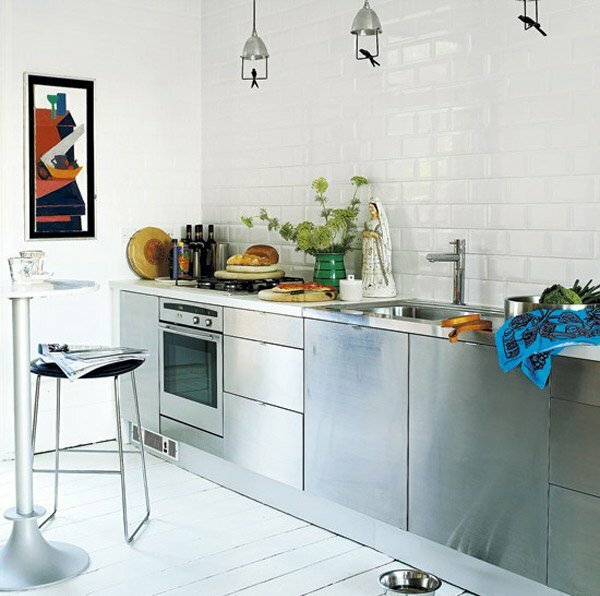 Clean space for cooking which makes life a bit easier – we’re guessing on it! This generation of cabinet is resistant to both stains and corrosion, and is easy to clean and disinfect. 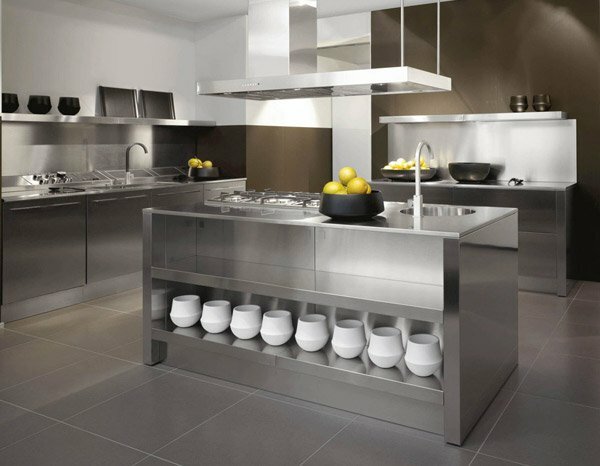 Metal cabinets also are non-toxic and ideal for people with chemical sensitivities. They also come in a wide range of colors and styles. Unlike the old metal cabinets of the 40s, modern metal kitchen cabinets can be dressed up with brass or copper molding, brushed nickel finishes, or even an inset glass panel. These cabinets can also be combined with a transitional cabinet for a more tempered look. We are guessing you liked the list above about 16 Metal Kitchen Cabinet Ideas and do check out painted kitchen Cabinets for more inspiration. More to come here at Home Design Lover!